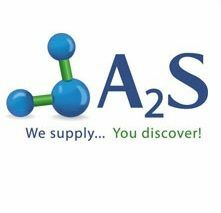 A2S technologies Ltd is a trading Biotech supplier company distributing in Israel products from leading biotech manufacturers We specialize in laboratory equipment, We supply products and services to the Biopharma, Pharmaceutical industries, Research institutes, universities and Hospitals. With our "Consulting & Sales" and Technical Service, we are able to respond to your requests and needs in the most accurate way when it comes to laboratory and Bioprocess equipment. We believe in providing complete customer satisfaction through our products, services, knowledge and experience.